Branston is celebrating success after climbing up the Sunday Times Grant Thornton Top Track 250 league table, which ranks Britain’s private mid-market growth companies in order of sales. Branston features among the UK’s 250 rapidly growing companies. Last year it entered the league table at number 233 in the table, following sales of £123.2 million. This year, with sales up by 16% to £143m, it has risen to number 221. 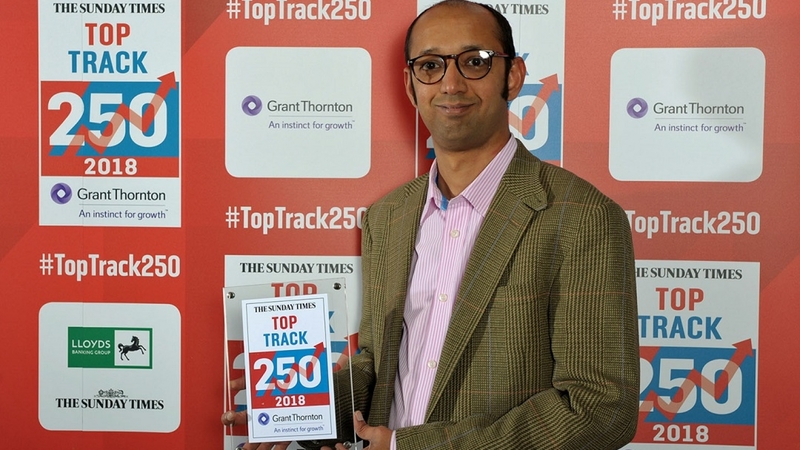 Vee Gururajan, innovations director, collected the award at the 14th annual Top Track 250 awards dinner at the Royal Lancaster Hotel in London on Tuesday 20 November. Last year the company continued its ongoing investment plan, with £6 million worth of new grading equipment and high tech storage for optimising the temperature of crops prior to packing. Further investment is currently underway at all three of Branston’s sites, with a focus on minimising waste and maximising crop utilisation.